I just got back from the gym this morning, where I went to test my knee. I hobbled back into the house, and grabbed some ice for my ice bag for my sore knee. I don’t know whether I know anything more than before, things didn’t turn out according to plan. We got to the gym and I went to stretch out and warm up my knee. I know this all sounds crazy, when I tell you I still have 240 stitches in my knee. The whole idea was mine, but others bought into it just the same. I don’t know if I should have pushed it, I am fairly certainly there is no more damage that could be done, except to my mind and my ego. up arrow, to make it go a tich faster at a time. My trainer was already watching my stride, checking for discrepancies. I checked in with myself, and forgetting the lump in my throat, I decided that I didn’t feel bad. I quickly got up to two, and I left it right for a time. It wasn’t part of the test, but it felt like that is what my body wanted, so without saying a word, I comfortably walked at a decent pace, and then begin moving the up arrow again. This time I brought it to three, and I knew I was only going to 3.5 and no higher. I hard a change of heart, I didn’t want to test my knee after all, I wanted to start getting back moving again, without ever a hitch or a click. So today would be my first workout, I brought the treadmill up to 3.5 and left it there. I explained to my trainer what I had decided to do, he thought it was an excellent idea. He believed as I do, I don’t want this knee to fail, so I must do everything to ensure it stays well. After 5 minutes at 3.5 I was starting to get tired in my knee. I brought the machine all the way to zero, stopping at 1.5 for a 2 minute cool down as I saw it was fit. I got to zero and shut the machine off. I was shaking and on the verge of tears. I am so fearful about not running again, and my body with the anorexia and the bad leg, makes me feel very vulnerable and weak. 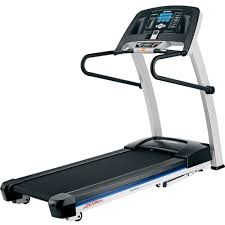 I am going back to the gym on Sunday, today I will make a treadmill schedule and complete workout routine. My goal is not to push it too fast, I think that is the easiest way to make sure I fail. I will probably to do the same workout on Sunday that I did today, except for I might take the machine up to four, and see if I can do three minutes there. I realized today this is going to be a long, slow process, especially if I am really trying to heal, and not just push it. I was very aware while on the treadmill today, I don’t respect my body in the ways it deserves to be respected. I need to change that, and I need to change my head, I can’t be pigheaded about my recovery. I have nothing to prove to anyone else, and everything in the palm of my hands to lose.